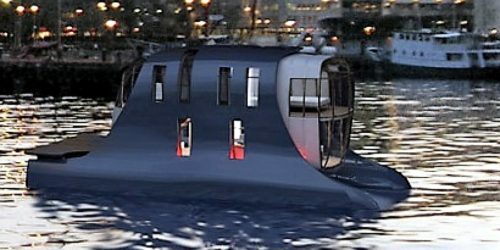 Reenvisioning what house boats can be like is something disigner Espen Erikstad took on with this Norwegian houseboat design, called simply “The Houseboat”. 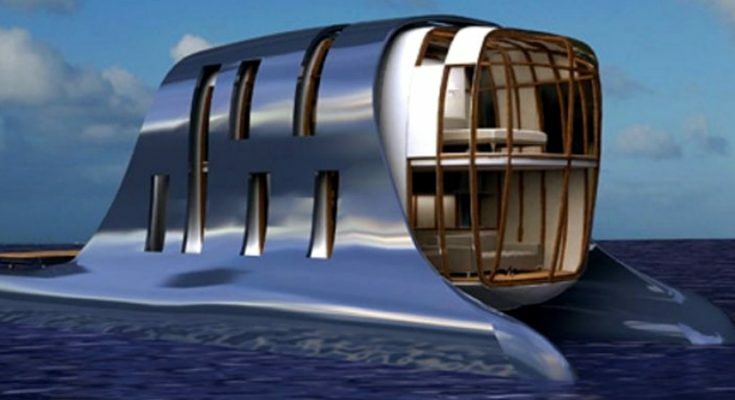 It’s a two-level catamaran craft, and probably something interesting to those of you out there who are already into prefab houses — and now we’re looking into houses on water, which are basically prefabs homes you can put either on water or out of water — will be interested in. Also, a lot of the design ideas can be translated between the two building styles. What you probably notice right away from the picture above is the rounded projecting glazed wall of the end of the houseboat. 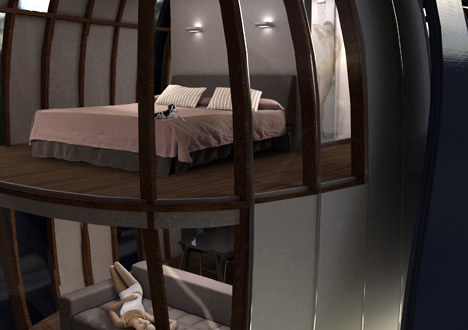 The upper level at the larger, more projected end of the house boat is the bedroom, and below there is the living area. The designer in this case envisioned these becoming popular enough that entire docks would be lined with them, similar to mobile homes or motels, where the wharf is the hallway leading into each houseboat dwelling. A houseboat duplex, anyone? This one’s just a design from Erikstad, who is a designer and student in Oslo, but it raises some interesting considerations about living on water and small dwelling design in general. For more of Erikstad’s work, find them in the Building Homes and Living directory.